One of my favorite salads that I have made is really simple. I have app on my phone called Fresh Express Salad Swap, check the app out b/c it gives you some more great ideas for salads. Here are some great links to some awesome recipes for salads that I will be trying as well. These are just some salad recipes that I found online and will be making soon. I like to try new things, but making a salad is really fun b/c you can change it so you don’t get bored. 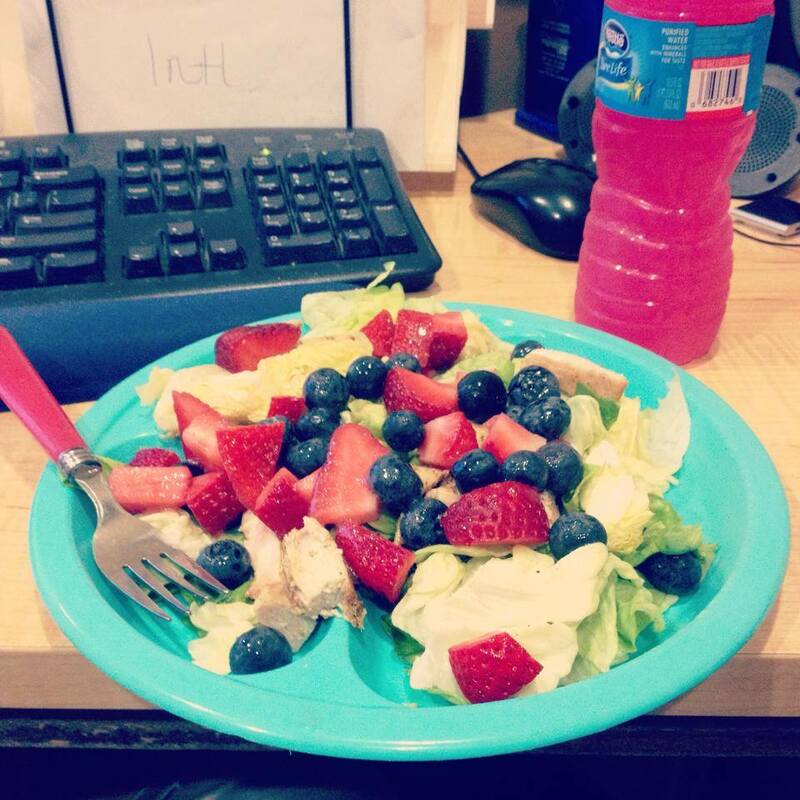 Apples, blueberries, raspberries, strawberries, pineapples, oranges. You can make your on vinaigrette or you can find some in the aisle of your grocery store. Don’t put so much thought into making a salad, its a simple and healthy lunch or dinner. Throw things that you love on there and enjoy, but of course portion your food.